Updated November 4, 2016 – Phonak CROS hearing systems are an exceptional solution for those with one-sided hearing loss. They are available in a variety of styles, and are designed to fit those with normal hearing, to profound hearing loss in his or her better ear. Two basic lines exist in the Phonak CROS Series: Phonak CROS, and Phonak BiCROS. Phonak CROS is perfect for those with normal hearing in their better ear. With this technology, the user places the transmitter behind or inside of the poorer hearing ear. This transmitter picks up sound, and delivers it to the normal hearing ear. Hearing in the user’s good ear will still remain natural and unaffected. Phonak BiCROS is designed for those with hearing loss in his or her better ear. Like the Phonak CROS, the BiCROS’s transmitter is placed behind or inside of the ear with poorer hearing. This transmitter picks up sound, and transmits it wirelessly to the better hearing ear. At the same time, the receiving hearing aid of the BiCROS series acts as an amplifier to deliver improved hearing. 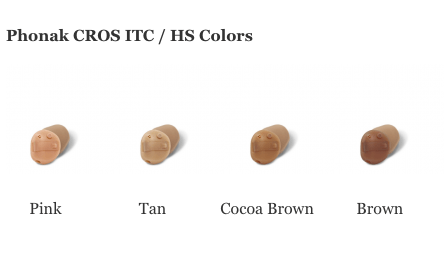 Phonak CROS and BiCROS transmitters can be mixed and matched with any Phonak Spice Hearing Aid, and any performance level. SoundFlow: This technology allows for a seamless transition between different hearing situations. This allows users to move from a loud environment, to a quiet one, while the hearing device automatically adjusts the device’s listening program to the optimal setting. Real Ear Sound: Ears normally help locate sounds. With Real Ear Sound technology, individuals with hearing loss can more easily pinpoint the location of sounds in his or her environment. Signal Alerts: This feature automatically alerts the user of a connection interruption, or a low battery in the Phonak CROS transmitter. QuickSync: This quick and convenient feature allows for quick adjustment of multiple hearing devices with just one touch. Phonak ComPilot: This all-in-one, advanced accessory provides the hearing aid user with wireless access to his or her television, MP3 player, phones, and other electronics. 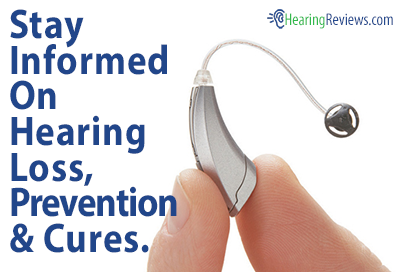 Additionally, the device allows for quick and easy program and volume changes of the user’s hearing device. Phonak TVLink S: This dedicated television-hearing solution transmits the audio from the user’s television wirelessly, directly to the user’s hearing device, in stereo sound, so it can be heard in both ears. Additionally, the device features one-step setup, so the device is ready to use in about a minute. Phonak PilotOne: This small, remote control allows users to make discreet adjustments to his or her hearing system. Its simplistic design is easy-to-use, and allows users to make quick volume and program changes to their listening device. myPilot: This is a remote control with a color LCD that allows users to adjust numerous settings of his or her hearing system. It can easily be customized to the user’s needs. The available styles of the Phonak CROS series hearing aids include an award-winning Behind-The-Ear (BTE) style, custom In-The-Ear (ITE) styles, including In-The-Canal and Full-Shell styles. 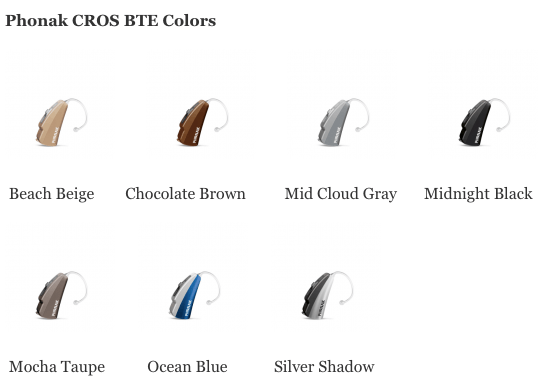 The Phonak CROS BTE style features either a universal fit, or a custom tip retention option, and uses a 312 Battery. The Phonak CROS In-The Canal (ITC)/Half-Shell (HS) also runs on a 312 Battery, and features an omnidirectional microphone. The Phonak CROS Full-Shell (FS) runs on a 312 Battery, and like the CROS ITC/HS, features an omnidirectional microphone. Each of these devices features faceplates, as well as shells, of the same color. 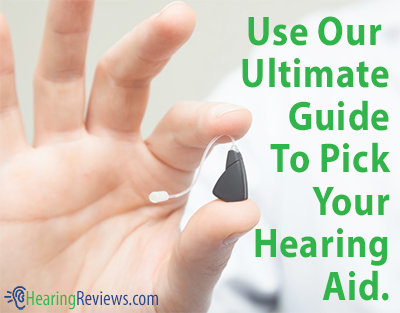 This isn’t the only model we have, see the other Phonak Hearing Aids Review. I guess I have a very basic question. Do you have single-sided deafness? As I read your review, I see absolutely no commentary which would suggest that you have any experience with the challenges of SSD and how the Phonak system actually makes it better or worse. As such, your feedback looks to be no better than what I would see from Phonak’s Marketing department. Seriously!!! I recently participated in a 3 month study comparing Phonak’s cross system with another SSD device. Here’s a short version of what I experienced. BTW, I actually have SSD. First, the Phonak device helped a ton! My wife, my children and others noticed a huge difference. Second, it is not perfect. It really helped me hear sound from those those around me (or things like TV). It also allowed me to better hear my own voice and how loudly I was speaking to others. It, however, gave me what I called “superman voice”. It’s hard to explain but my own voice, thru the Phonak cross aids, sounded like it was projecting in such a way as I felt like my voice sounded like a typical superman voice on TV. Strange. As a result, I had to remove the aids when I was presenting to an audience. The people in the back could not hear me as I thought I was speaking more loudly than I actually was. I appreciate reviews, but I see no value in your input and I really question google search’s value in bringing your commentary to people in need of real advice on options available to improve their issues with SSD. My son is trying the Phonac Cross hearing aids. He has had them for a week and they don’t seem to help him. He struggles with not being able to hear when there is background noise. The hearing aids haven’t helped him in those situations. He doesn’t get much benefit from them when there isn’t any background noise either. He said he may be able to tell that someone is talking on his bad side but can’t determine any of the words. Has anyone had these issues? I have phonak cros hearing aids. After 2 days usage they needed new batteries and after second set they lasted 1 day, now they don’t even turn on. Has anybody else the same problems. Yes I have phonak cros hearing aids and they are only a mild help and make thing WORSE in a noisy environment. I have a complex about myself from getting greatly confused and disoriented in public conversation. I have the compilot 2 for bluetooth and tv assistance and tv is great where bluetooth phone conversation is the worst experience ever in my life in audio form. Not very helpful for bad ear transfer of sound either. My husband has phonax Crox aids and still cannot hear in noisy environments. What are the 20 channels for? Please shRe your experience with these aids. How would I know the microphone from the hearing aid device? In testing the Cross11, I find a problem with batteries as well. The little battery died in 2 days. The new battery died in one day. My cousin and I were in a restaurant when the 3rd battery died and the new trial Phonak Audeo hearing aid battery died also. I became totally without hearing as I am profoundly deaf. Panicking, I took out a size 635 battery and realized it would not fit the CROS11 or the Audeo Hearing Aid. Nudged my cousin, we needed to finish our dinner in silence and leave. My cousin had to drive my car home. Once at home, I retrieved my old Phonak Naida, put in a new battery and could hear better with my SSD. What a relief ! I liked the idea of a smaller aid and the smaller CROS11, but sound and battery life just didn’t work for me. What a horrifying experience !!! 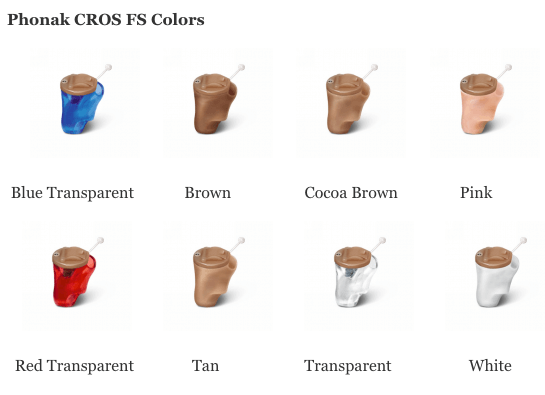 I am wondering if anyone has a young child using the BiCROS system. My son, who is now 4, has been using the system since he was six months old. He still has quite a huge speech delay. Over the last school year, his teachers has mentioned that he just doesn’t seem to be hearing like he should with his hearing aids. We started private speech therapy, and the therapist noted the same thing, but also that he seems easily distracted by background noises. We’re in the process of doing another ABR, just to make sure it isn’t a change in his hearing loss, and then going from there. But I just want to know what other people’s experiences have been, especially since he still can’t communicate that with me at this point. lied saying the batteries were bad. Dr. Ngo told me to come in and he disconnected the transmitter and now my batteries lasts 6 to 7 days. I always wore one aid and I’m happy. I didn’t think the cros made that much difference. Phonak’s Pres. Newham did nothing-Stephanie did nothing Diane did nothing. I paid $4600. Connect Hearing In Portland Or.